So instead of continuing to push for EVs, Toyota is taking a different approach. The company has shown its FCV Concept vehicle at multiple auto shows, suggesting that this could be a prototype for a production Toyota hydrogen fuel-cell vehicle. 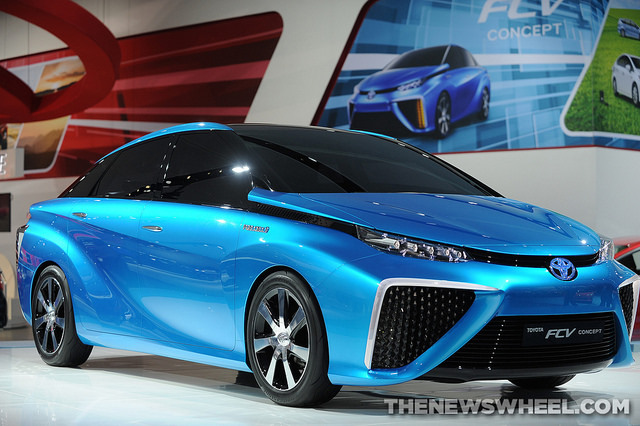 In fact, Toyota plans on beginning building its first ever production fuel-cell vehicle in 2015, leaving green car enthusiasts waiting impatiently to get a glimpse of this potentially industry-changing car. In the meantime, Toyota will continue to concentrate on producing its hybrid vehicles that have become popular across the country. And us? We will be here, waiting to see what this production fuel-cell vehicle might look like. FCV, please!